Motivational: 15 Inspirational & Stylish Ways to Brighten Someone’s Day! – Style Dr.
Motivational: 15 Inspirational & Stylish Ways to Brighten Someone’s Day! Happy Monday & Happy Dr. Martin Luther King Jr. Day! I recently read the highly inspirational book, Do The Kind Thing: Think Boundlessly, Work Purposefully, Live Passionately by the founder of KIND healthy snacks, Daniel Lubetzky. I had a delicious dark chocolate nuts and sea salt KIND bar on a recent flight home from the holidays, which rocked my world, because it’s so flavorful as well as healthy at the same time. I was first introduced to KIND bars when my friend sent me a few free bars via email as the brand was practicing one of their KIND strategies of introducing others to the bars. Once the KIND bars arrived into my mailbox, I was immediately addicted & loved the flavors. I was inspired to know more about the brand & why it’s called KIND; I read the book and loved the theme throughout to simply be “KIND.” Imagine for a moment how one kind act can truly have a huge impact on someone’s life, it’s really easy to do and for many, kindness is a part of their everyday life. Have you ever noticed that a simple smile, compliment or kind words can truly make a difference in someone’s day? Why not brighten someone’s day simple for the fun of it by gifting them with an inspirational book, jewelry with an inspirational quote or an accessory with a wonderful quote to remind them of how fabulous they truly are as a constant reminder! I have selected a few of my favorite inspirational items to spread kindness. The “You are Braver than you Believe Stronger than you Seem and Smarter than you Think” Cuff Bangle Bracelet is not only gorgeous in rose gold, but a great way to spread words of encouragement to someone! 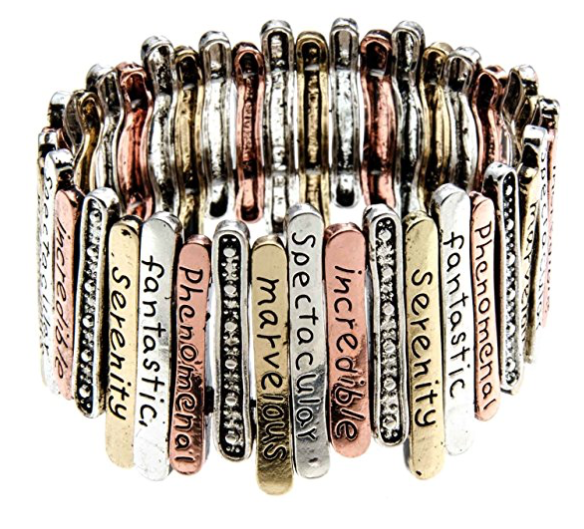 The colorful Multi-Tone Inspirational Words Stretch Bracelet is a great reminder of wonderful traits to have as well as an immediate pick me upper! This bracelet also comes in silver! 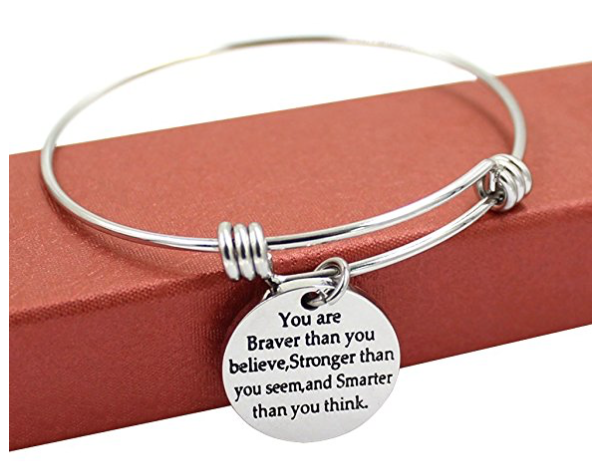 You’re Braver Stronger Smarter than you think Inspirational Bracelet Expandable Bangle can truly brighten someone’s day & a reminder of how fabulous they truly are! 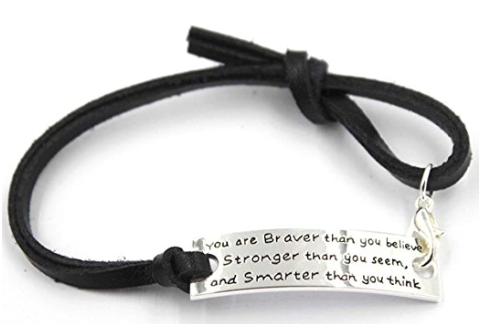 The silver stamped “You are braver than you believe..” inspirational bracelet with black leather strap is a more casual look to remind someone of the many possibilities of what is yet to become when they BELIEVE in themselves! 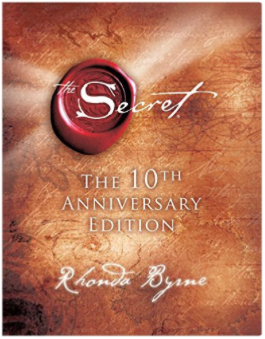 The Secret book & THE Secret DVD are wonderful ways to remind yourself to FOCUS on being in the attitude of gratitude and how magical life can be once you ARE GRATEFUL! I personally love The Secret book and DVD and have given away copies as gifts! 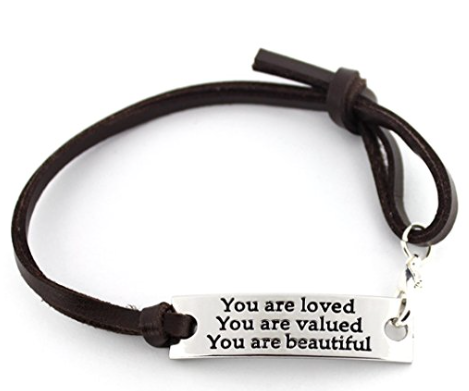 The stamped “You are loved You are valued You are beautiful” leather inspirational bracelet is a wonderful way to remind someone of how much they are truly LOVED! The Everything I Need To Know I Learned From a Little Golden Book is the cutest lightweight inspirational book. I first spotted the book while browsing the shelves at the library and I had to check it out. I enjoyed flipping through the colorful illustrated pages filled with motivational messages as a simple reminder to enjoy life and reminds me of the childhood storybooks I used to read and love. 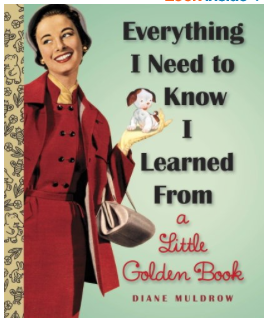 While you’re at it, why not try Everything I Need to Know I Learned From a Disney Little Golden Book! Everyone loves Disney! After all, Disney is known as the happiest place on earth! Score! 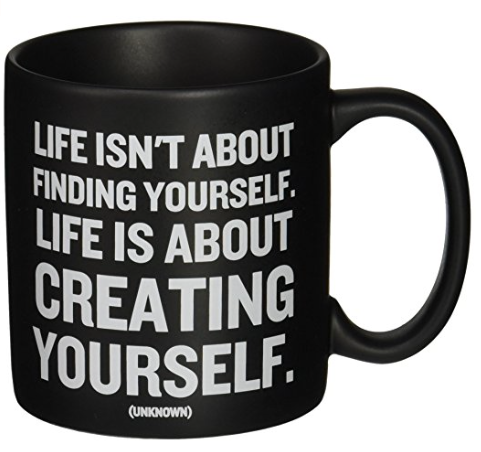 The Quotable Mug – Life Isn’t About Finding Yourself. Life is About Creating Yourself is highly motivational. Why not drink in a cup full of inspiration, it’s the best kind! As someone who absolutely loves and collects coffee mugs, though I only drink tea, it makes a great gift to inspire following your dreams! 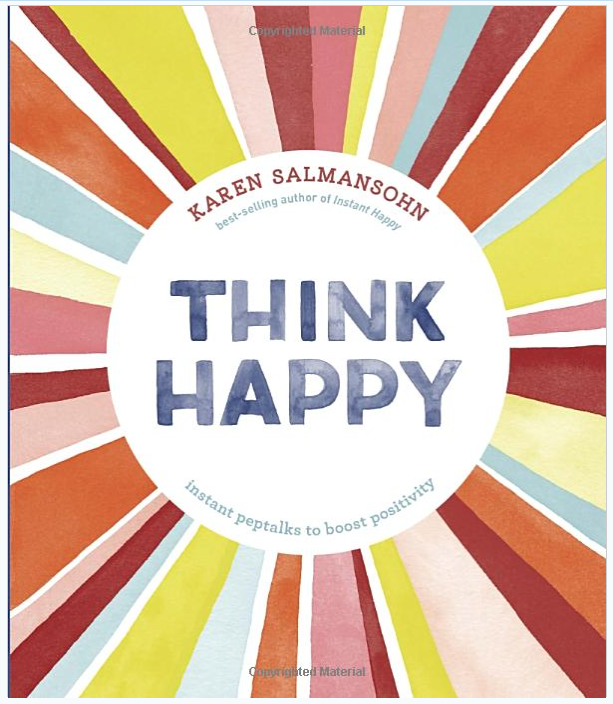 The Think Happy: Instant Peptalks to Boost Positivity is a great way to bring a little sunshine into the life of someone who may need it as well as to inspire positive thoughts to an even brighter life! 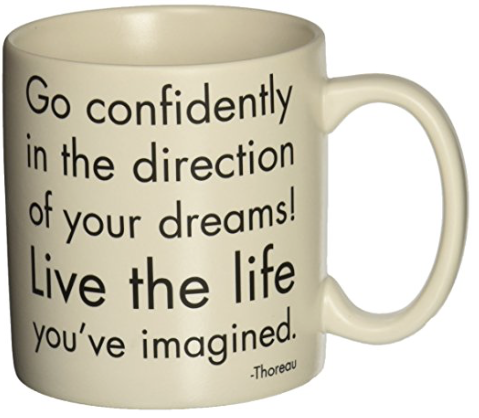 The Quotable Go Confidently Mug is at home in one of my cabinets! I love this mug, such a great way to live life! As someone who is an entrepreneur and quite the social butterfly, I feel that this coffee / tea mug really speaks to me in the way that I live my life! It’s a great reminder to live life ‘o the fullest! :) Score! 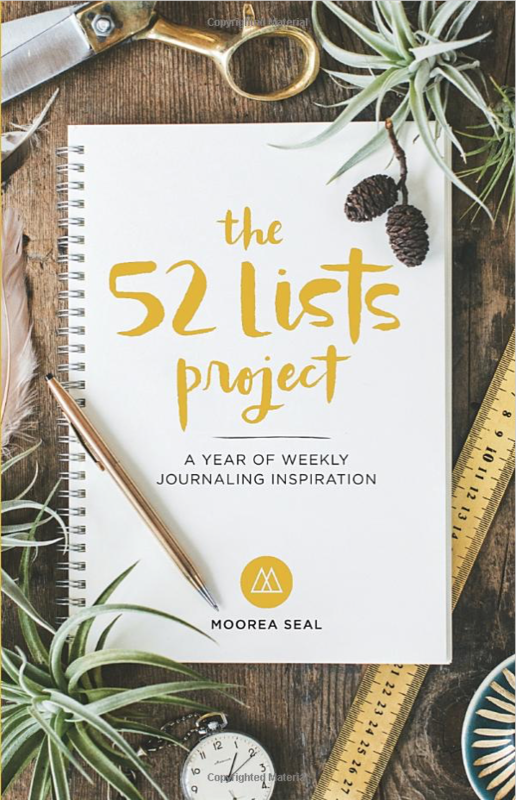 The The 52 Lists Project: A Year of Weekly Journaling Inspiration is a great way to write down your thoughts. I’m all about to-do lists and it thrills me each day to check off things I’ve accomplished throughout the day! This book will help you to write down and prompt you to showcase your creativity, sounds fun! 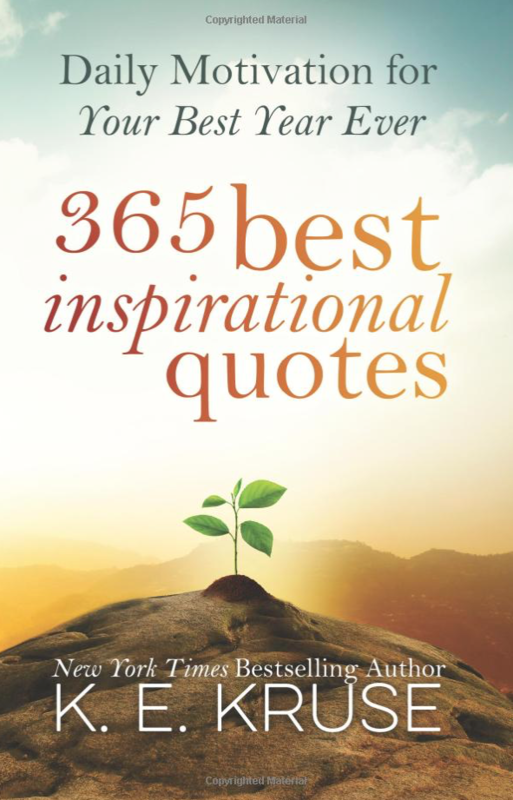 The 365 Best Inspirational Quotes: Daily Motivation For Your Best Year Ever is a great way to stay inspired! I personally love to read and keep a notebook of my favorite quotes from many books that I’ve read over the years! There’s just something about writing down a positive / inspirational quote that seems to make it stick with you more! 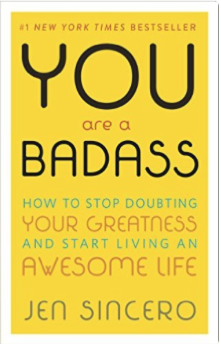 The You Are a Badass: How to Stop Doubting Your Greatness and Start Living an Awesome Life speaks for itself and at times, you may need a reminder; this book rocks! 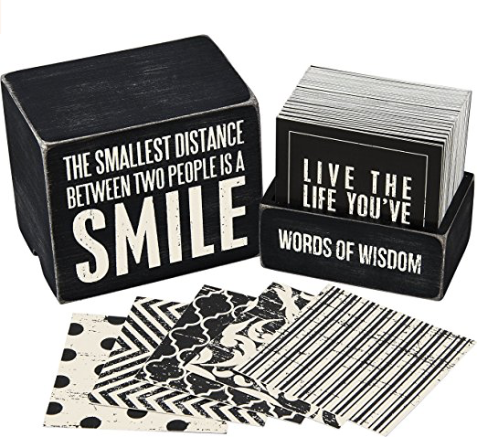 The Words of Wisdom Keepsake Inspiration Quote Box is fun for your office desk, to put on a coffee table at home or wherever you may seem fit to keep you inspired as you read through the quotes on 80 cards! Score! 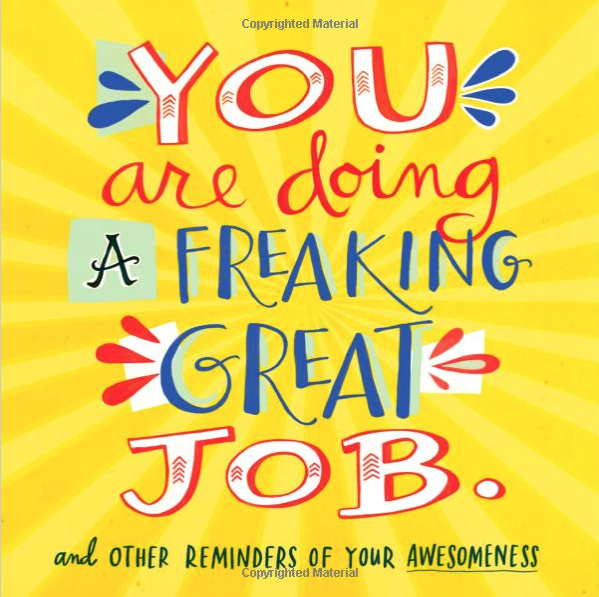 The You Are Doing a Freaking Great Job: And Other Reminders of Your Awesomeness is bursting with great energy! Why not gift this to someone to let them know that you appreciate them! I promise, it will brighten their day! Score! Thanks for stopping by & I’ll see you next time! ‹ PreviousStyle Dr. : What To Wear on Valentine’s Day! Next ›Love Story: 16 Valentine’s Day Gift Ideas for Her!